Approximately 3-4 weeks before attending Clinical Bound, you will receive an email message with information about the clinical reference apps that Frontier provides for use during your clinical rotation. This message will include a code that will allow you to download a one-year subscription to Lexicomp. Before you come to Clinical Bound, be sure to go through the Mobile Resources for Clinical guide, at the link below or in the CB 101 course. Clinical reference resource covering over 3,000 topics. Click on "Get the DynaMed Plus Mobile App" on the left side of the page and enter your email address to receive download information. See detailed instructions. Clinical resource providing evidence based information. Link is to the mobile friendly website (no app is available), so you will need to log in to the FNU portal to access. Sanford Guide is one of the gold standard reference materials for infectious disease therapies. At FNU, we have access to the web edition and the mobile application. See detailed instructions on how to download the app. FNU also provides access to the web edition. Some information/features only available to members. Note: It may be easier to complete steps 1-3 from a computer. Go to https://frontier.idm.oclc.org/login?url=http://search.ebscohost.com/login.aspx?authtype=ip,uid&profile=dmp to access DynaMed Plus. You will need to login to the FNU portal, if you haven’t already. Click on “Get the DynaMed Plus Mobile App” on the left side of the page. Enter your FNU email address to receive instructions and an authentication link. Download the DynaMed Plus Mobile app to your device from the iTunes App store or Google Play store, but do not open it yet. Open the email you received from “donotreply@ebsco.com” (if you don’t see it in your Inbox, check your Spam folder) from your mobile device (if you do not have FNU email set up on your device, see instructions here: https://sites.google.com/a/frontier.edu/google-migration/mobile-users-2) using a mail app (not a web browser). Tap the authentication link in the email message. The DynaMed Plus app will open on your device. The authentication link will expire in 48 hours. You can use the authentication link on up to three devices. If you need to authenticate more than three devices, send yourself another link using the process above. After installing the app and downloading the content, the app can be used offline without a wireless signal. A wireless signal is needed to perform updates. Your subscription will be good for six months from the date you use the authentication link. If your subscription expires before you graduate, you may send yourself another link using the process above. Select any EBSCOhost database, then scroll to the bottom and click on "iPhone and Android apps" to request download information. 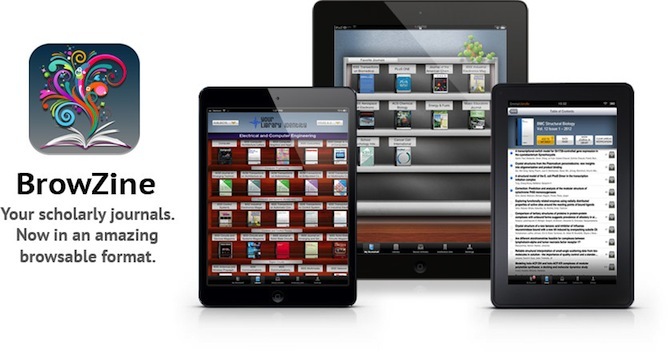 BrowZine is an app that brings recent issues of scholarly journals to your mobile device for browsing and reading. As the name suggests, it is designed for browsing, and is not focused on searching. You might think of it like the reading area of a library, where current journals are displayed. BrowZine is not designed for in-depth research or searching. If that is what you need to do, we recommend using one of the library databases. Frequently used databases are listed on the Library homepage. Go to https://frontier.idm.oclc.org/login?url=https://register.sanfordguide.com to begin the registration process. Fill in your name and Frontier email address in the boxes provided. Then click the "Register" button. Check your Frontier email for a message from admin@sanfordguide.com. If you do not see the email, please check your spam or junk folder. Click on the link within the email to complete the registration process. You will be asked to verify your name and create a password. If you have any issues, please call the library at 859-251-4730 or email us at librarian@frontier.edu. You can also contact tech support at Sanford Guide directly at techsupport@sanfordguide.com or 1-540-987-9480.